when you don't have your full rig and the show must go on. The new “All in One Pedal”. 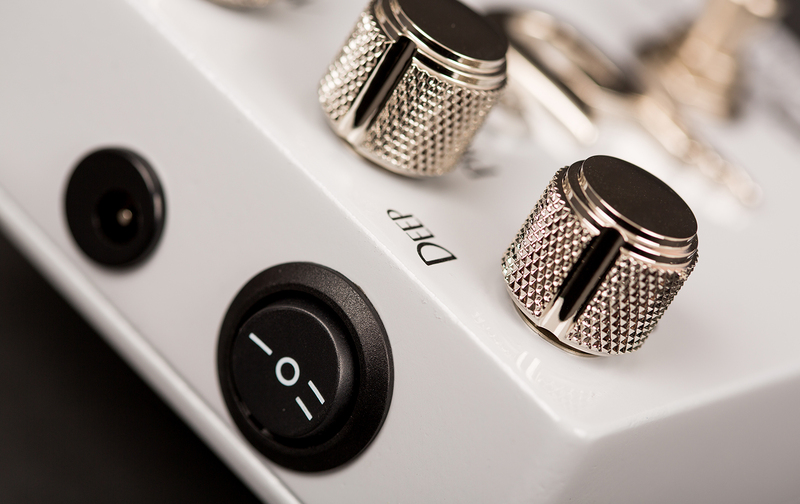 The CHANNEL 2 is fantastic as an Overdrive/Distortion and just great with any Amp/Guitar combination.. 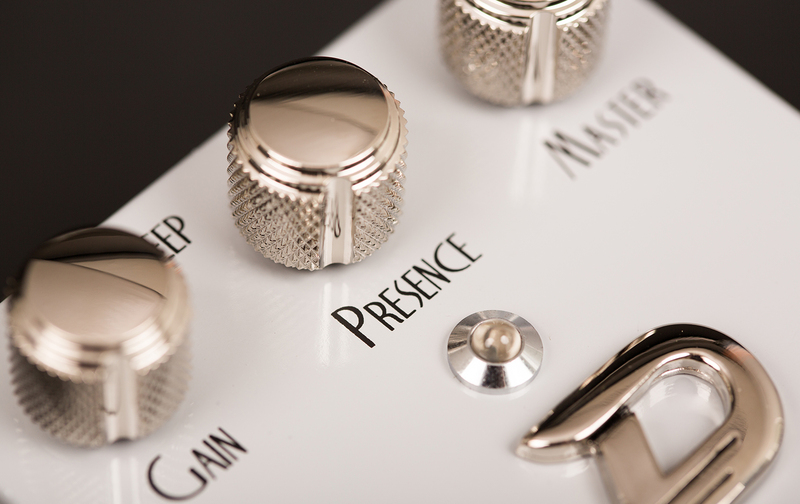 The CHANNEL 2 works just like an extra channel providing you with a great transparent crunch tone to a heavy overdrive. 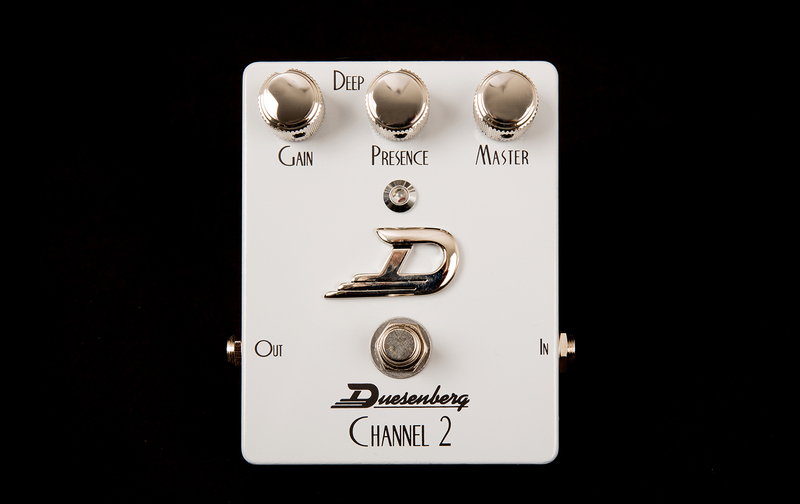 The CHANNEL 2 will be the ticket in saving the day when you don't have your full rig and the show must go on. Any questions? We are happy to assist! In case you have questions regarding your own instrument, please include the serial number with your mail! Please use this form to register your Duesenberg instrument. 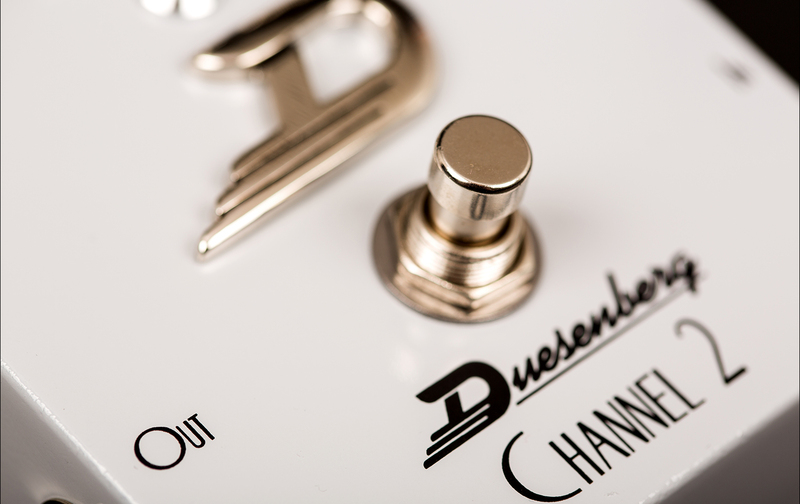 Whether you purchased it 5 minutes ago or have had it several years - just fill in the blanks, hit the "Register Now" button and you are part of the Duesenberg family! Why should I register my Duesenberg instrument? In a case of guarantee or insurance issues we are able to offer the best possible support when your instrument has been registered. Based on the data supplied, we can clearly identify every single instrument and act accordingly. We will also provide information such as date of purchase or serial number in any insurance cases (e.g. theft). Click here for the Duesenberg Owners Lounge! When I start writing songs, I reach for my Duesenberg first.